"Schools play a vital role in the promotion of positive mental health in children. Schools can also provide a safe and supportive environment for building life skills and resilience and a strong sense of connectedness to school. Listening to the voice of the child and fostering healthy relationships with peers, teachers and school staff are essential to children’s positive experience of school and their cognitive and emotional development. The needs and well-being of school staff are also of paramount importance. " `"Students’ well-being is at the heart of every school community, and is vital for their ability to access teaching and learning." "Teachers’ well-being is vital if they are to effectively lead learning, and support and facilitate students in this endeavour." We are having such a good time this week in GETNS for Feel good week! Every class has a menu of activities to choose from each day and we are identifying the things that ma us feel good. Check out our videos on the Home Page to see our children "Feeling Good"! 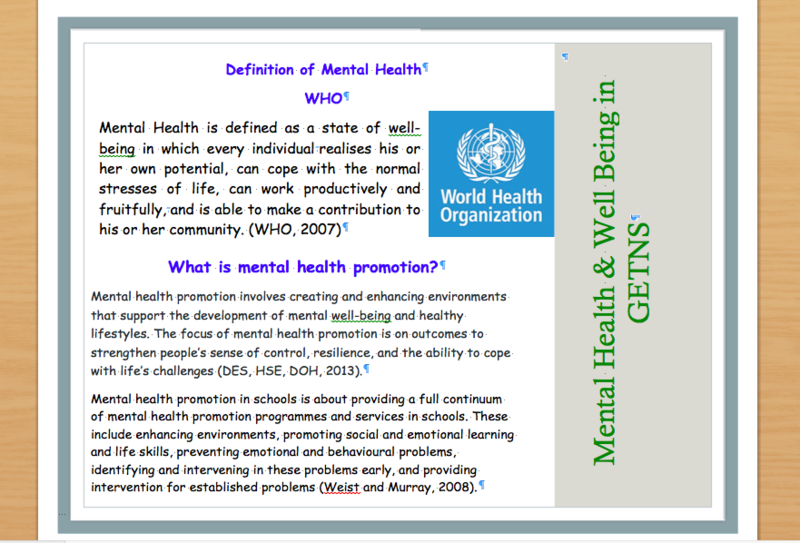 Our Healthy Minds Programme is a unique and innovative approach to developing and maintaining the optimum mental well being of our students and staff in GETNS. Over the past six years, we have developed this programme by initiating and nurturing a number of approaches. 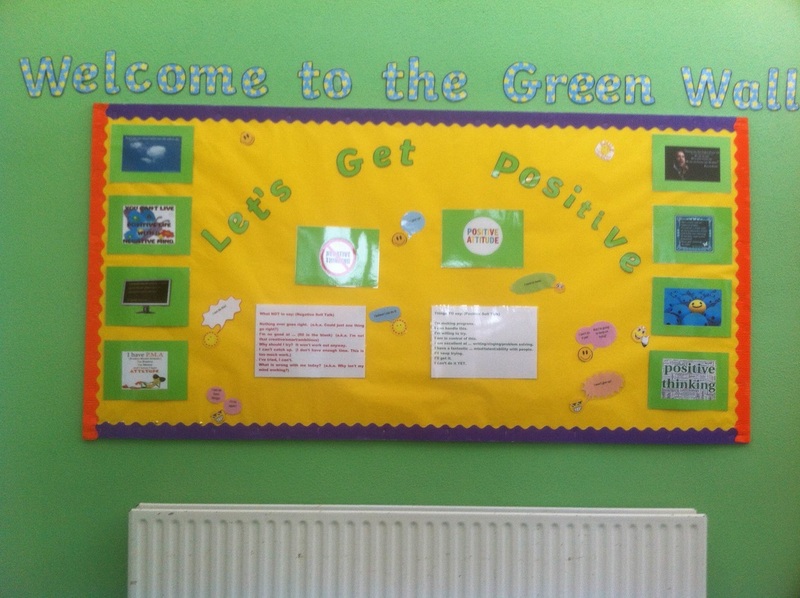 Our Green Wall is at the heart of our Healthy Minds Programme in our school and is the first wall you see when you come in our front door. 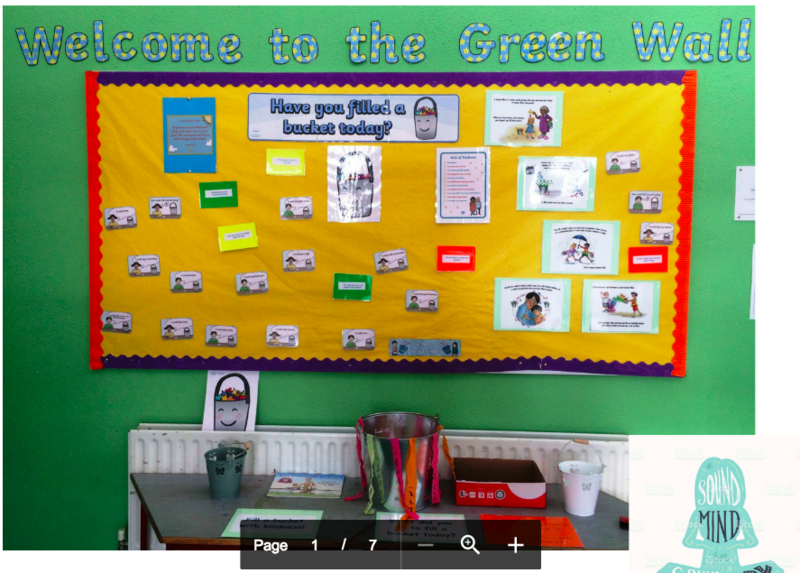 This wall explores and reflects monthly themes; it serves as a means to inform the whole school community and to highlight a shared language to initiate conversations about mental well being. As the year passes, we focus on a different theme every few weeks. The variety of themes will target a number of social and emotional skills including; self-awareness, self-regulation, gratitude, empathy, coping skills, resilience and responsible decision-making. Positive psychology is at the core of every theme. ​The purpose of teaching mindfulness to children is to give them skills to develop their awareness of their inner and outer experiences, to recognize their thoughts as “just thoughts,” to understand how emotions manifest in their bodies, to recognize when their attention has wandered, and to provide tools for impulse control. Currently, we have a beautiful Tibetan Singing Bowl which is played twice a day over our school intercom by the wonderful Noreen & Liz team. Once the children hear the Bowl being played, they stop whatever they are doing, place their hands on their belly and "Just Breathe". What a perfect way to take a moment and experience the joy of breathing and being alive. Yoga in School is one of our key approaches in GETNS Healthy Minds Programme. Yoga is taught to groups and classes by an experienced in house Yoga teacher (also a member of the SET team), for a 6 week block during the school year. Each class group gets 6 x90 minute sessions for a 6 week block. Each 90 minute session is broken into two to allow for half the class to participate at a time. Yoga Therapy is research and evidenced based and places children in the best position for optimal learning. Yoga Therapy sessions for individual children with more complex needs take place twice a week in GETNS and is led by our on staff specialist trained yoga teacher. This practical programme gives the other adults working with the child, the confidence to purposefully use the tools of yoga, on an on-going, daily basis, where appropriate with the child. Below is a video example of a Yoga Therapy Intervention session, clearly illustrating an optimum level of engagement of the child in the specific poses and the wonderful caring and respectful relationship between child and adults. Yoga for Teachers; a variety of after school classes (including Restorative Yoga) given in house. Staff Healthy Minds Book Club established in November 2018. In October 2018, our staff had our first Healthy Minds Book Club meeting. We began our literary journey by delving into Maureen Gaffney's interesting book, Flourishing. Why not join us in our reading and take time to reflect on life and create an increased awareness of your role in your own happiness. 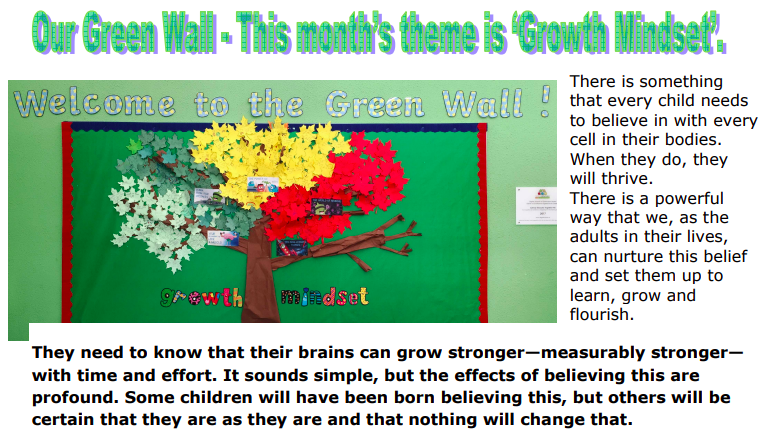 Green Wall Themes; ​the following are some of our themes during the year. Green Wall March; Have You Filled Your Bucket? This month’s theme is “Have You Filled Your Bucket?” We all carry around with us an imaginary bucket. Other people can fill our bucket with acts of kindness or they can empty our bucket with less than kind words or deeds. Did you fill someone’s bucket today? Why not drop by our Green Wall? Take a star and write us a little note to describe how you filled someone’s bucket. Or tell us about some kind person who filled your bucket today with a smile, a kind word or a loving hug. We all want our children to be resilient: to be able to overcome obstacles, to persevere when problems arise, and to bounce back / forward from adversity. Merriam-Webster defines resilience as ; "the ability to recover from or adjust easily to misfortune or change.” The ability to bounce back or recover is important, but it's not the whole picture. A resilient child recovers from challenges, but they’ve learned to do more than that. They actually hold a different mindset. A mindset of resiliency that deeply believes: I am not my mistakes, I can try again, things will get better, and I am not alone. The great thing to realise is that resilience can be taught at any age and any stage; why not start now? All the children in GETNS have been given a Gratitude Calendar. It is provided as an activity that the whole family can participate in for the month of October. As a school, we are constantly working towards developing the whole child; academically, emotionally and socially. 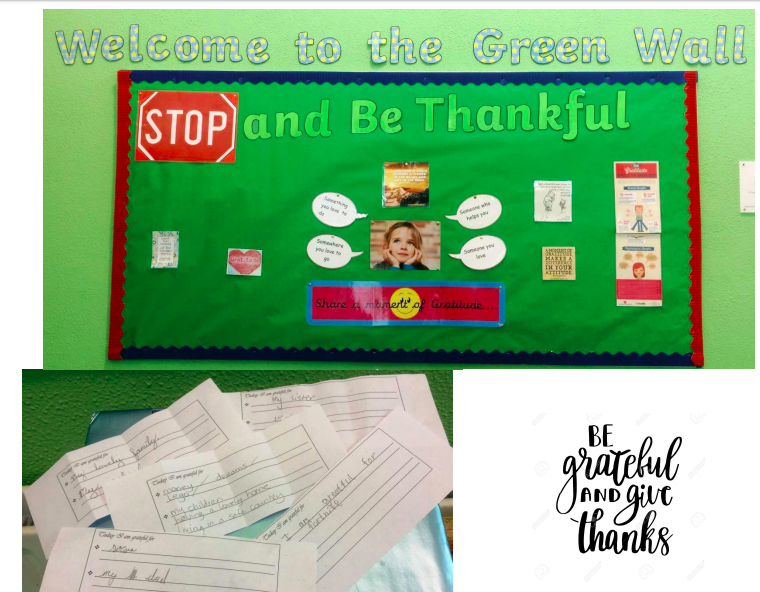 Our “Healthy Minds Programme” (an explanatory video is available on the school website under School Life) is based on positive psychology and acknowledges gratitude as a daily practice to improve overall well being. Expressing your thanks can really improve your overall sense of well-being: studies show that grateful people are more agreeable, more open, and less neurotic (McCullough et al., 2002; McCullough, Tsang, & Emmons, 2004; Wood, Maltby, Gillett, Linley, & Joseph, 2008; Wood, Maltby, Stewart, Linley et al., 2008). Furthermore, gratitude is related negatively to depression and positively to life satisfaction (Wood, Joseph, & Maltby, 2008). Gratitude is also a powerful tool for strengthening interpersonal relationships. In the pursuit of happiness and life satisfaction, gratitude is showing a direct and long lasting effect, thus the more gratitude we experience, the happier our lives will be. We would like to encourage each family to chat together about the calendar and about the special moments, events and people for which they are grateful. The calendar is just a starting point for families; perhaps you would like to design your own more personalised calendar or perhaps even start a Gratitude Journal. Let us know how you get on! On a final note; as a staff of GETNS, we are grateful for the wonderful parental support and partnership we experience on a daily basis. 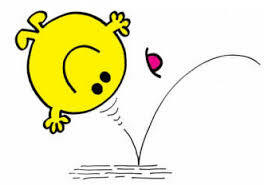 When things get tough, do you bounce back after failure or do you crack up? Positive mental well being is absolutely essential and can be a challenge to achieve in modern life. Sadly, more and more we are seeing increased levels of anxiety in young children. 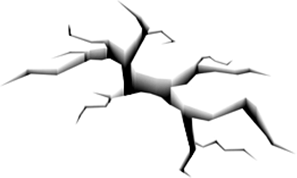 A degree of anxiety is totally fine but when it become unmanageable or impacts negatively on daily living, then we must deal with it. On Tuesday 7th February, GETNS welcomed Pamela Carroll Mannion, a Cognitive Behaviour Psychotherapist to give a parent talk on Anxiety in Children. The content included information about what anxiety is, what to look out for and how to explain it to your child. It also covered how it can be treated using CBT and how parents can use these skills at home themselves. Pamela also covered the importance of self care for parents, answered questions at the end of the talk and kindly offered to take follow-up calls after the night. ​Slide show of the presentation below (just click on it to download) and a list of recommended books. “What to do when you worry too much”, A kids guide to overcoming anxiety. By Dawn Huebner, Ph.D.
“What to do when your temper flares”, A kids guide to overcoming problems with anger. By Dawn Huebner, Ph.D.
“What to do when you dread your bed”, A kids guide to overcoming problems with sleep. By Dawn Huebner, Ph.D.
Mindfulness for Kids 1. 7 Children’s meditations and mindfulness practices to help kids be more focused, calm and relaxed. By Nicola Kluge. Stories for feelings for children. By Hilary Hawkes. Mindfulness Colouring Book for Children. The future teacher foundation. Change your Mindset on the Green Wall. We challenged ourselves to use a growth mindset to look at life and our work. Yes, we can! Stop and Be Thankful.... thankful for the little things and the big things! Our theme for November is Positive Psychology. 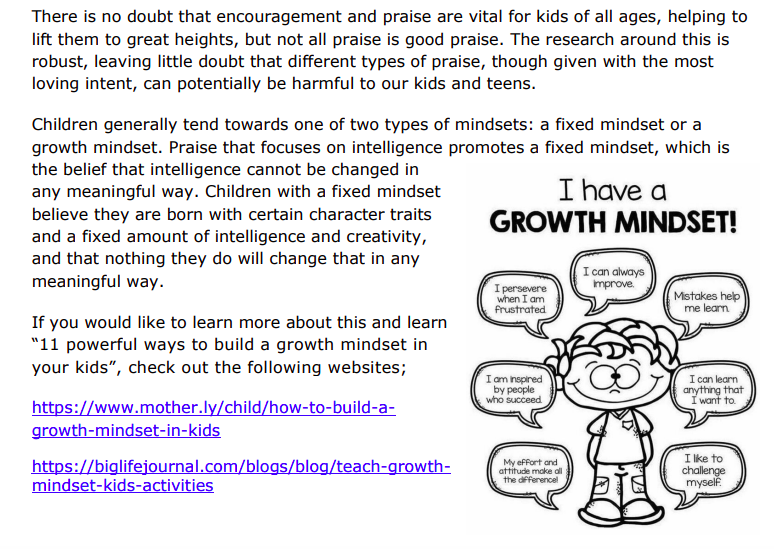 We are using positive thinking and positive self-talk and encouraging a Growth Mind Set. The purpose of teaching mindfulness to children is to give them skills to develop their awareness of their inner and outer experiences, to recognize their thoughts as “just thoughts,” to understand how emotions manifest in their bodies, to recognize when their attention has wandered, and to provide tools for impulse control. 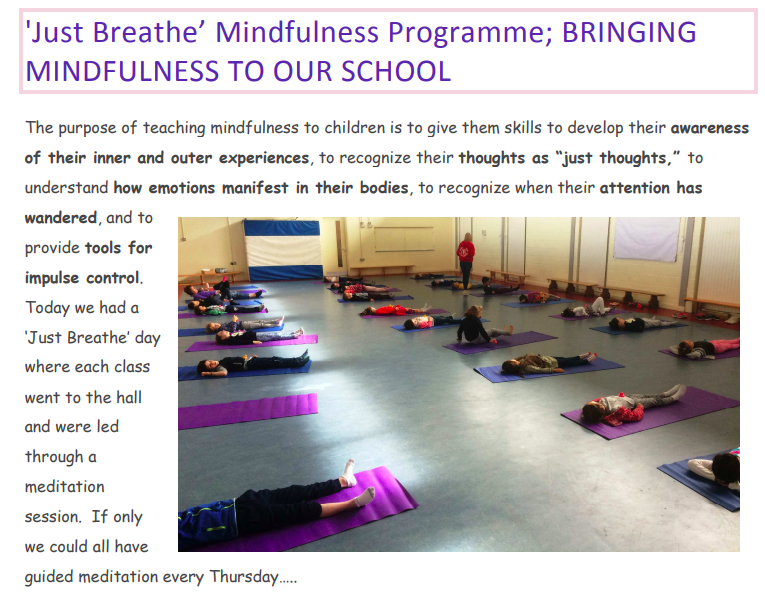 All children are being trained in Mindful Breathing for this month (November). Soon we will be able to pause during our busy school day for a 30 second brain break and "Just Breathe". Click on the link below to find out why we are working towards being a Mindful School. Hygge is an interesting concept from Denmark; have a read of this article for tips on positive parenting. As a school, the mental health & well - being of all our students is a priority for us. The following brochure describes our approach. Below are some of the programmes we teach to promote and maintain positive mental health and emotional resilience. 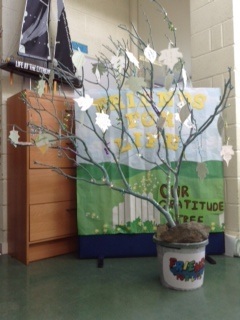 The students in 4th class designed and created a beautiful "Gratitude Tree" to illustrate the many things for which they are grateful. This was part of our focus on the positive aspects of life and in order to pay careful attention to the important things in life. Bring a smile to your face and come have a read of their leaves of thankfulness. 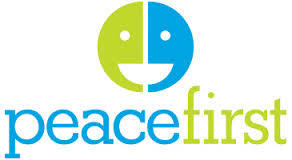 A programme which endeavours to create the next generation of peacemakers. The children learn social and emotional skills of empathy, personal awareness, relationship building and promoting inclusion. We engage children in seeing themselves as effective communicators and leaders. By teaching this programme in every class, from Junior Infants to Sixth, we regard children as natural problem solvers and creative thinkers and we invest in their ability to become leaders. We aim to create social messages that raise expectations for young people to demonstrate compassion and empathy. This programme is taught in Senior Infants, where appropriate. This is a play based programme teaching emotional resilience. It provides children with practical strategies for coping with stress, worry, fear and sadness. 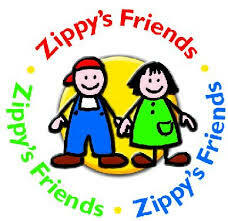 The children in First Class learn about Zippy's Friends. 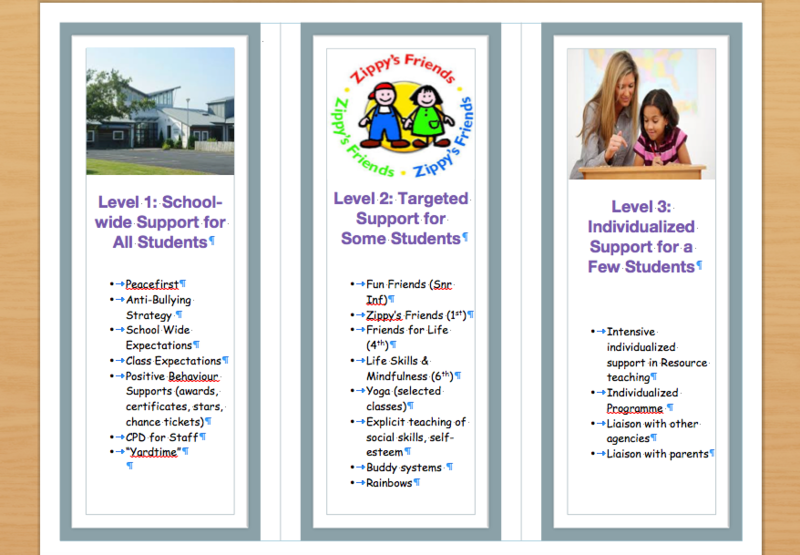 They develop social skills and coping strategies. They learn to cope with everyday difficulties, to identify and talk about their feelings and to explore ways of dealing with them. The children are also encouraged to help others with their problems. In Fourth Class, the children are taught cognitive, behavioural and emotional skills. They learn emotional resilience by developing self awareness and by recognising the power of helpful self talk. They learn to ask challenging questions and by doing so, change unhelpful self talk in to helpful self talk. Each child also develops their own personal relaxation menus and construct coping plans to deal with anxiety provoking situations. 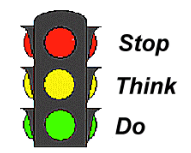 STOP THINK DO is a social skills programme for children who have emotional–social–behavioural difficulties that affect their ability to make friends. It is designed as a classroom curriculum for children to prevent such difficulties arising. This programme is taught in Fifth Class. This programme is offered to children who are learning to deal with the difficult emotions and challenges caused by bereavement and loss. Our school also implements an Anti-Bullying Strategy. Please refer to our policy section for more information.